That scandalous TED(x) « "TeresaBruceBooks"
I’ve just been asked to emcee the 2014 TEDx Charleston – I’m allowed to go public with the news today because the women who run it have just released the names of this year’s speakers. Up until today only the theme was public information: Ripple Effect. Somewhere Byrne Miller is winking with approval. It was at the inaugural TEDx Charleston in 2013 that I had the chance to introduce her, in spirit, to a world of You-Tube viewers. 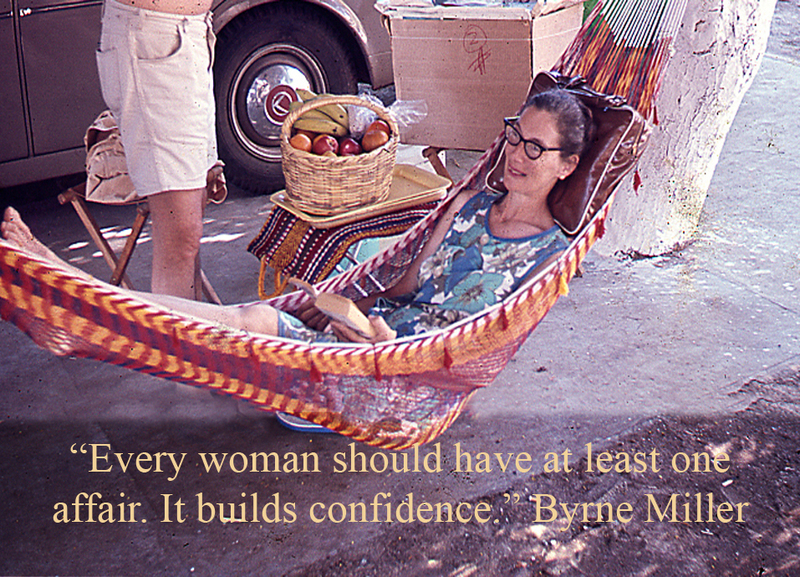 My talk was called “The Wisdom of Quitting: Lessons from my Other Mother.” Back then I agonized over whether the sophisticated, well-mannered Charleston audience would be shocked by Byrne’s most outrageous womenism. I needn’t have worried. The audience saw past Byrne’s cheek to her wisdom and have become enthusiastic supporters of “The Other Mother: a rememoir.” But the organizers of TEDx Charleston all looked at each other with knowing smiles. This team of dedicated and well-connected women, led by the indomitable Edith Howle, run an entirely independent event. There is no TED headquarters handling all the logistics. These women have to plan everything from speaker selection to ticket sales, catering, media coverage and after-party venues. So why the smiles at Byrne’s affair advice? It turns out all of them joke that “TED” is their shared, demanding, artistic, maddening lover. This entry was posted in travel and tagged TED Talks, TEDx Charleston, The Other Mother. A picture is worth a thousand words. Unless you can’t write.